Relax in this two bedroom villa with panoramic views of Braddock Cove. Beautifully renovated two bedroom villa with serene lagoon view. 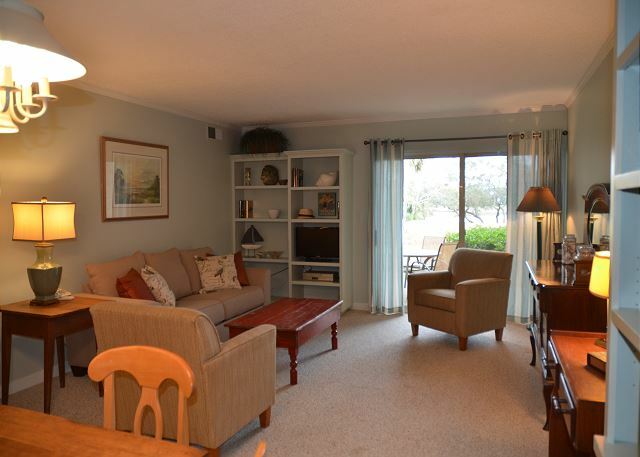 Enjoy this coastal inspired two bedroom unit with peaceful lagoon views. 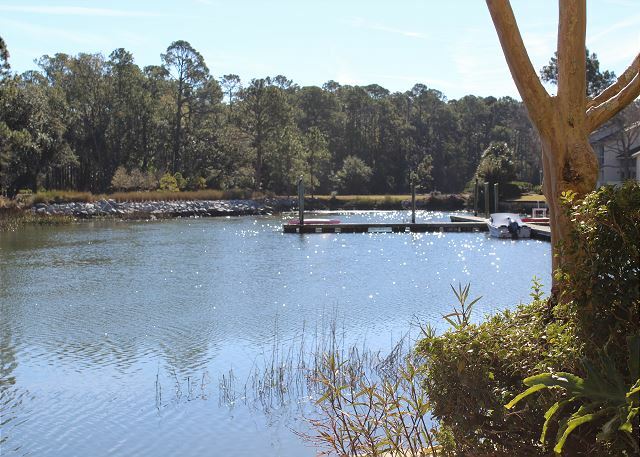 Fabulous pet friendly villa with a gorgeous, private water front view. 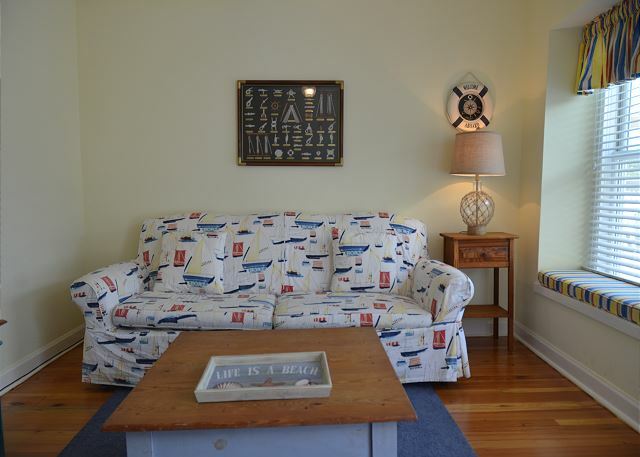 Spacious three bedroom villa with sweeping views of Braddock cove from living and dining area! Fabulous Cove views in this two bedroom villa. Enjoy the deck great for relaxing and sunbathing. Bright and open with beautiful views of the Braddock Cove from every floor. This 3 bed, 3.5 bath has an updated kitchen, full size washer/dryer and an extra loft room with bunk beds. Pet friendly, so bring the whole crew to unwind in this spacious villa. Delightful spacious villa with a beautiful updated kitchen, and gorgeous views of Braddock Cove. 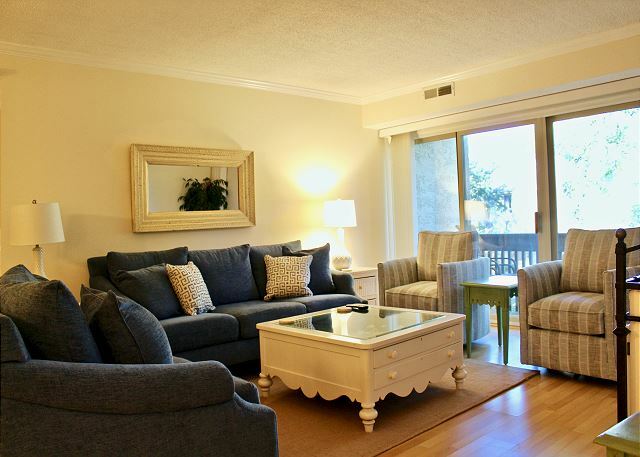 Magnificent first floor corner unit steps away from the beach! Private vacation villa located in the cozy Bluff Villa Complex. Amazing location!!! This is a beautiful first floor end unit in the Bluffs with a home away from home feeling throughout. 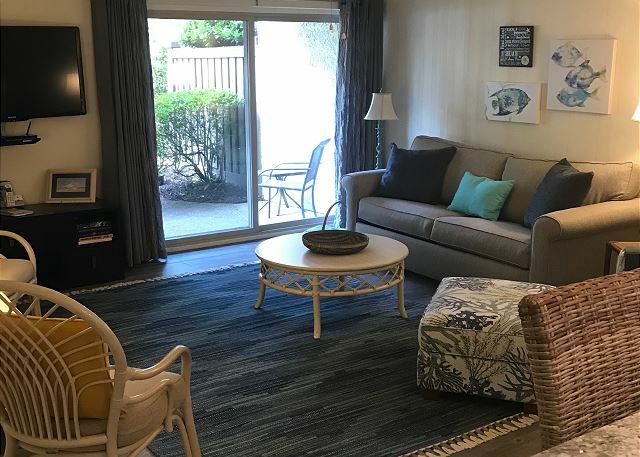 Enjoy a relaxing sunset on the private patio or snuggle into the oversized couch and watch a movie after your busy beach days! Lovely two bedroom, two bath, entirely updated villa. 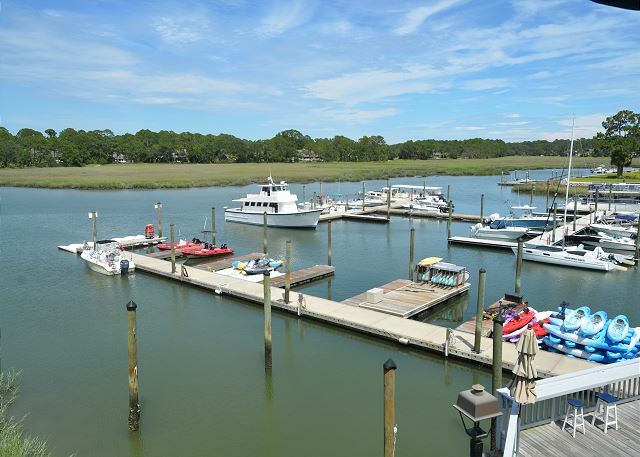 Located steps from the South Beach Marina and Calibogue Sound. 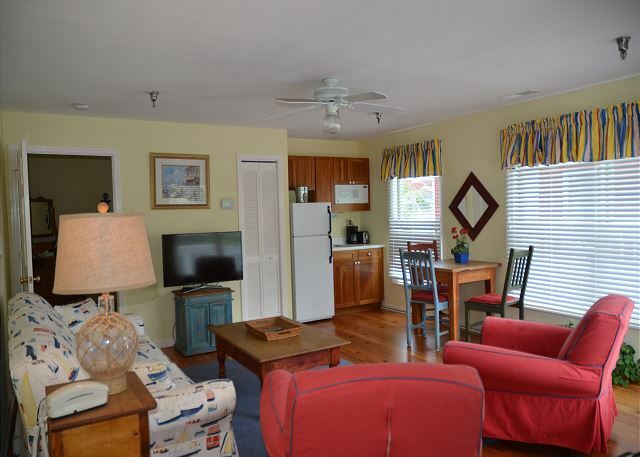 This sweet one bedroom villa is beautifully updated with a relaxing, coastal feel. 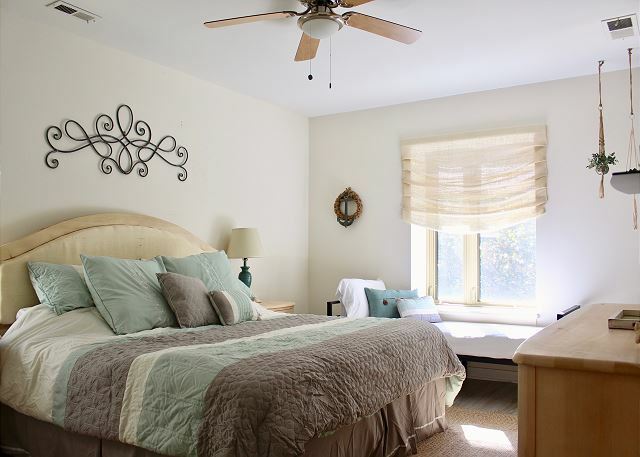 Perfect for a young family, the Master has a king bed and small daybed. The kitchen has been opened up to the living space, making the most of family time in the evenings. Beautiful and totally updated 3 bedroom, 2 bath. Steps to the beach and South Beach Marina. 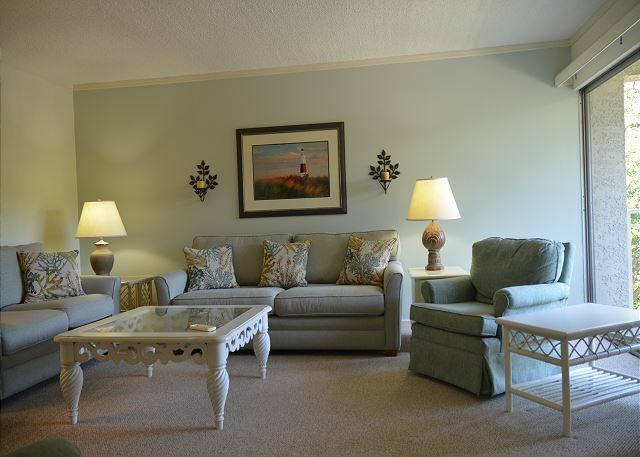 Spacious vacation rental with an open floor plan ideal for 4 guests. 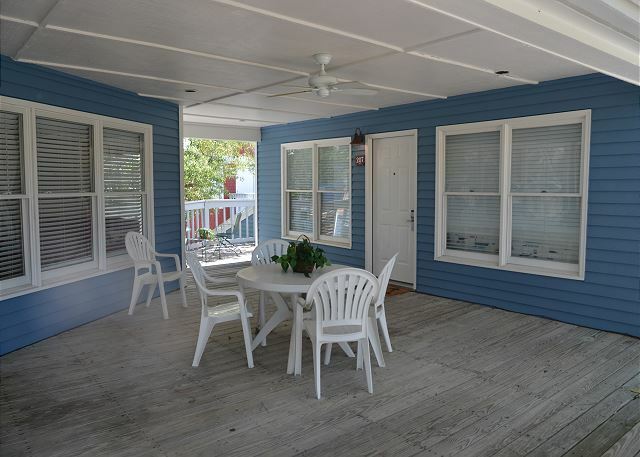 Beautifully renovated two bedroom, two bath second floor villa, located steps from the beach at Calibogue Sound and the South Beach Marina Village. 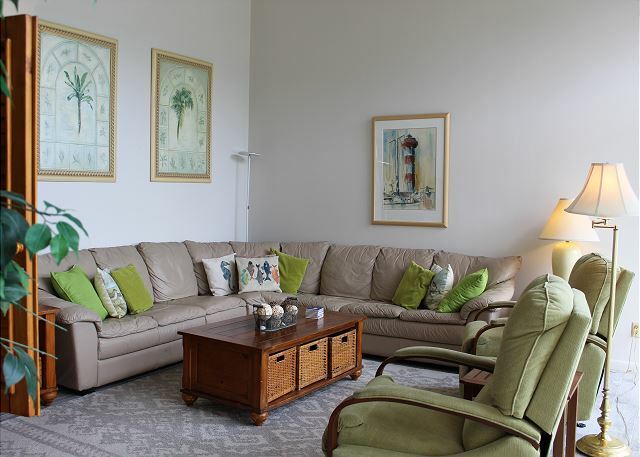 This beautifully appointed villa sleeps four, provides ample living space and a full size washer & dryer. Beautifully decorated villa, only a short walk away from South Beach Marina Village. Beautifully decorated, this upscale one-bedroom villa has a view of Calibogue Sound and is located just steps away from South Beach and the Atlantic Ocean. 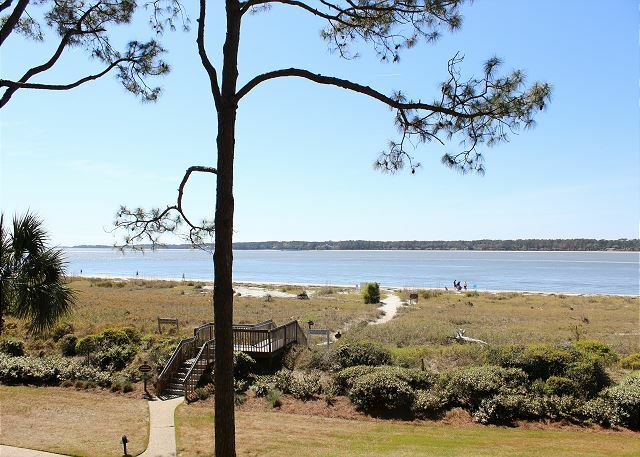 Experience the balcony view and beauty of the Calibogue Sound from this conveniently located, renovated Bluff Villa with a great open kitchen and living area. Inviting southern casual villa with pleasing accommodations! Charming villa with short walk to South Beach Marina Village. Located in the heart of South Beach, this charming villa is conveniently located across from the beach. 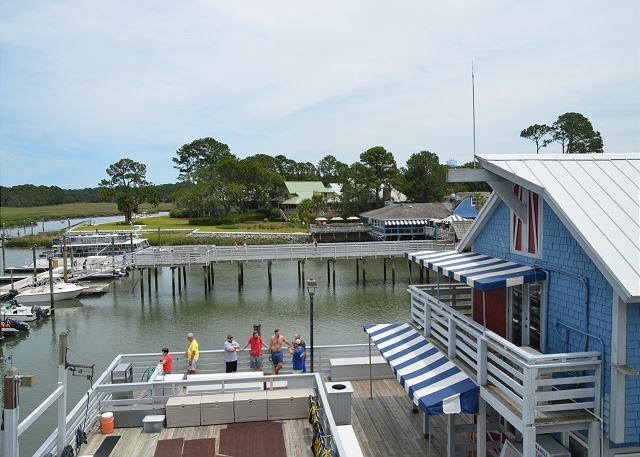 You will have access to all of the water activities, tennis, cycling and entertainment at the Salty Dog. This is a 2 bed, 2 bath villa, sleeps 6. First floor end unit with views of the Braddock Cove. This is a two bed, two bath villa that sleeps six. No stairs to climb with your gear! This villa has a private patio and walks out to the parking area! 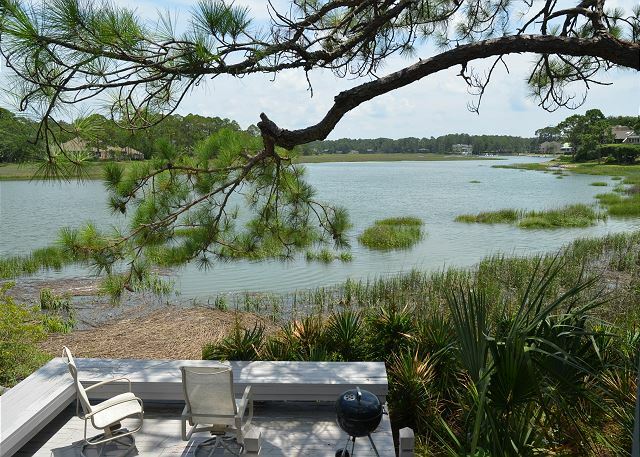 Low country style and Braddock Cove views! Charming villa with spectacular Braddock Cove water views. 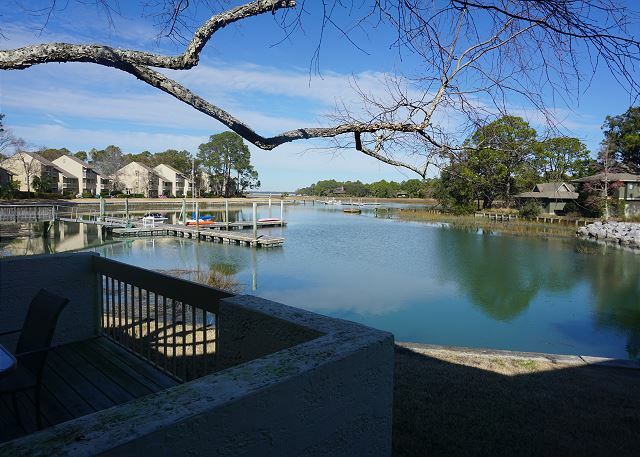 Be on the top of Hilton Head Island in this third story villa with views of Braddock Cove. Enjoy views of Braddock Cove from the patio of this first floor villa! The Atlantic Ocean is right in sight from this villa with wrap around deck! 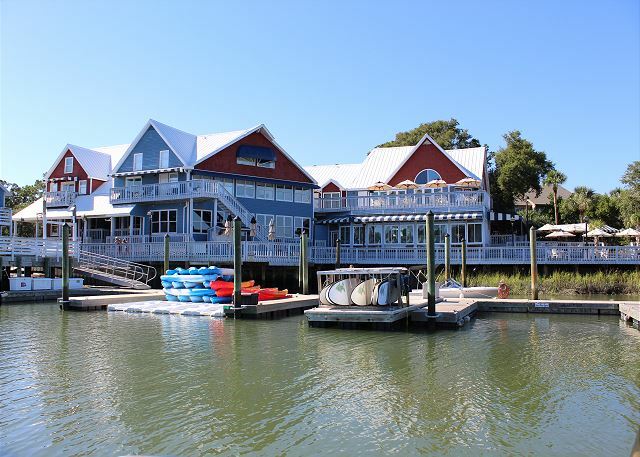 Lovely South Beach villa with spectacular water front views of the Calibogue Sound. 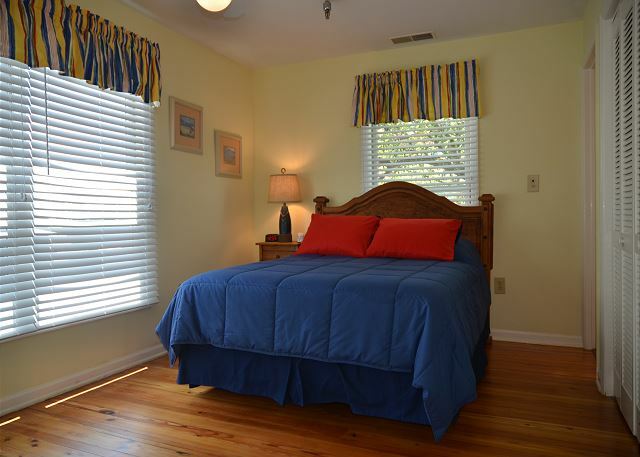 This luxury 2 bedroom villa is beachfront on the second floor overlooking the Calibogue Sound. This villa has a wrap around deck and provides panoramic views of the Atlantic Ocean and the Calibogue Sound! 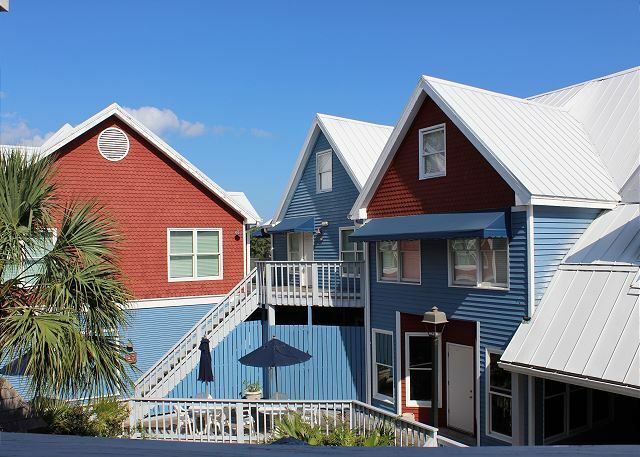 This one bedroom, one bathroom suite with deck view is located in the heart of the South Beach Marina Village area of Sea Pines. 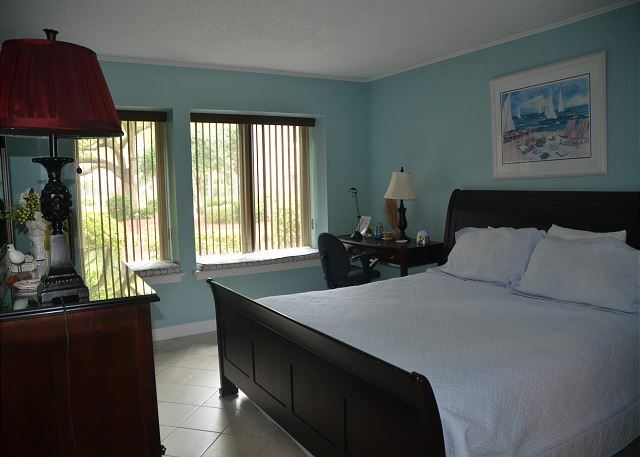 This one bedroom, one bathroom suite with courtyard view is located in the heart of the South Beach Marina Village area of Sea Pines. This two bedroom, two bathroom suite located in the heart of South Beach Marina Village is perfect for a long weekend or an entire week. 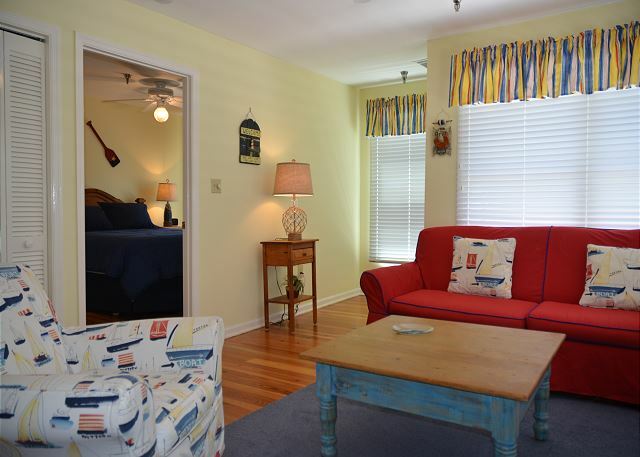 This one bedroom, one bathroom suite is located in the heart of the South Beach Marina Village area of Sea Pines. This one bedroom, one bathroom suite located in the heart of South Beach Marina Village is perfect for a long weekend or an entire week. 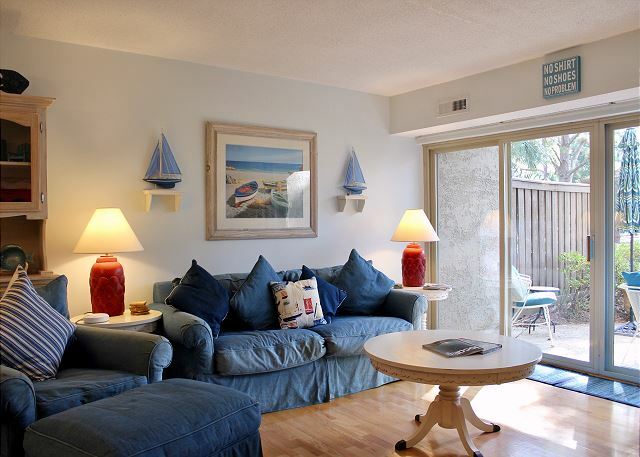 One bedroom, one bathroom suite is located in the heart of the South Beach Marina Village area of Sea Pines. BEAUTIFULLY REDECORATED WITH A HARBOR VIEW. This two bedroom, two bathroom suite located in the heart of South Beach Marina Village is perfect for a long weekend or an entire week. 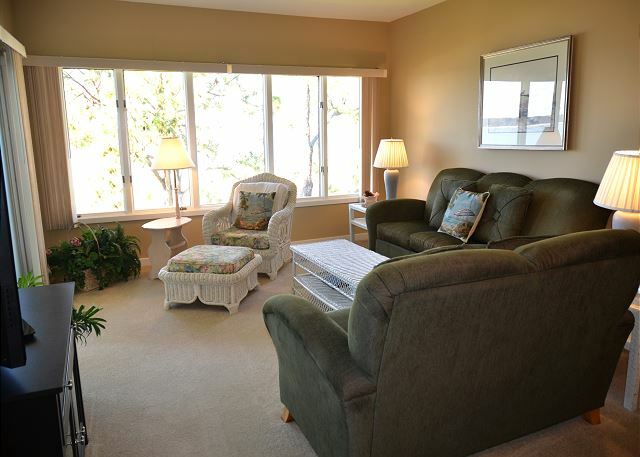 This is a one bedroom, two bathroom suite on the large deck overlooking the harbor. This one bedroom, two bathroom suite located in the heart of South Beach Marina Village is perfect for a long weekend or an entire week. This one bedroom, one bathroom efficiency suite is located in the heart of the South Beach Marina Village area of Sea Pines.